Akashi Single Malt Whisky was matured for 5 years; three of which were in ex Bourbon casks and two were in ex Spanish Sherry casks. It is lightly peated with no chill filtering and no additional colouring. 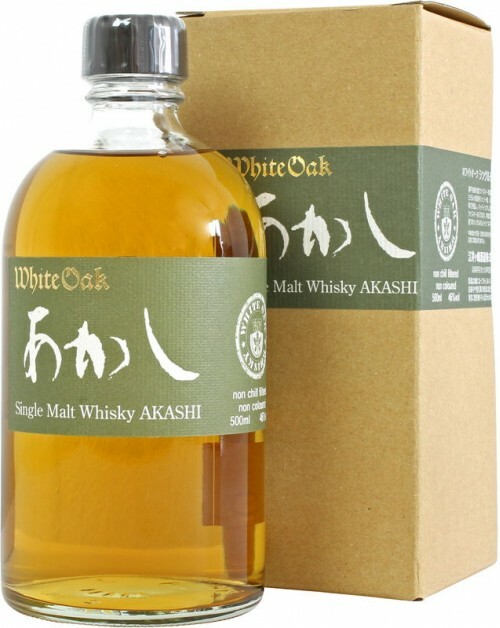 Akashi Single Malt Whisky is made at the White Oak distillery, this is Akashi's flagship malt. Nose: Delicate camomile, Sherry and malt. Palate: Rounded with creamy vanilla notes. Finish: Long with sweet vanilla and wood notes.